I'm calling it now. Codenames is the greatest party game ever created. EVER. You and your team are trying to communicate about a series of agents, each with their own codename, like JUPITER or DOLPHIN or DRAIN. 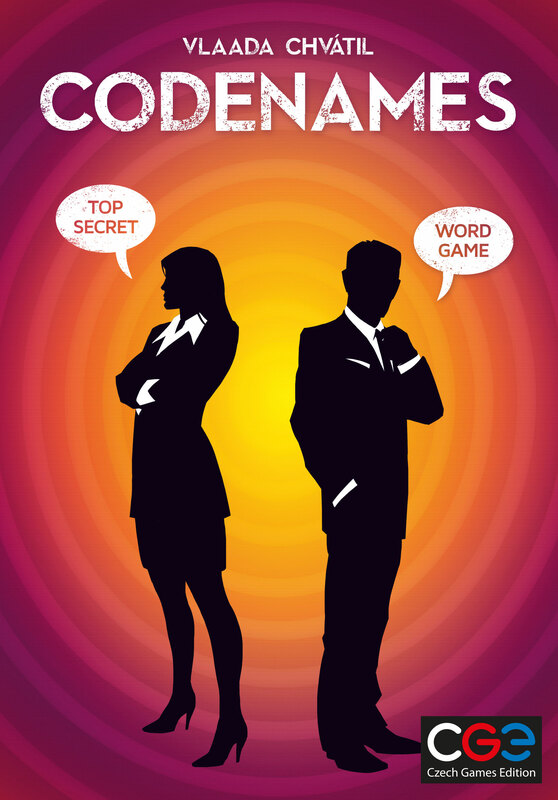 Your job is to give a single word-association style clue that ties as many of those codenames together as you can, along with a number that tells how many codenames are tied! So "Whirlpool, Two" might cause you to guess JUPITER and DRAIN, without accidentally picking DOLPHIN along the way. First team to reveal all of their agents is the winner! But if your team reveals the Assassin, they lose immediately. This simple setup leads to hours of fun, as clues start building from the inside jokes of every group of friends. Games run quickly, and everyone gets their turns both guessing and giving the clues. If you've got a group of 5-11 players, you owe it to them to play this game! Codenames: Pictures is an obvious next step, with more versions coming in the future!